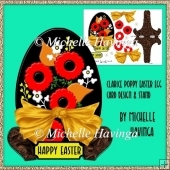 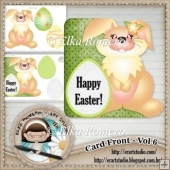 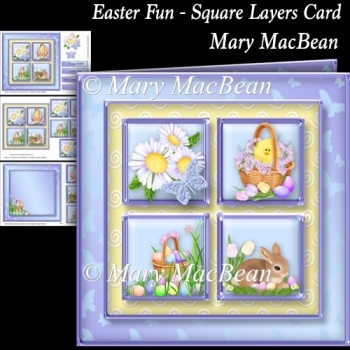 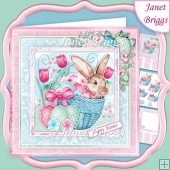 Card front with stacks of square layers with an Easter bunny, chick and eggs. 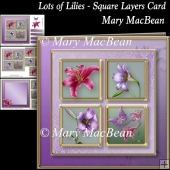 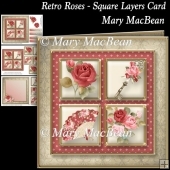 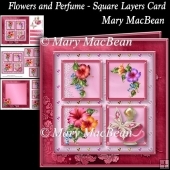 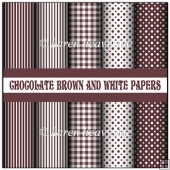 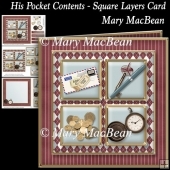 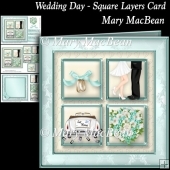 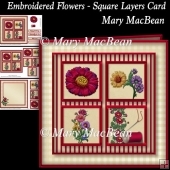 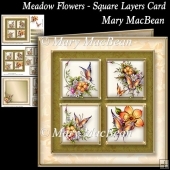 The kit has 3 sheets which include the card front, stacking squares, decoupage, insert and sentiments. 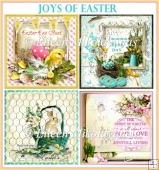 There are 3 sentiments - Happy Easter. 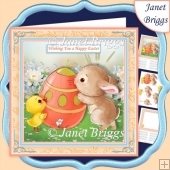 Easter Fun, With Love at Easter - or a blank tag for your own message. 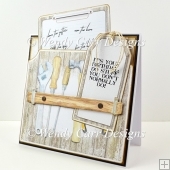 The finished size is approximately 7.5 in x 7.5 in.